Today at 14:08 p.m. the first airplane of the low budget Turkish company ”Fly Pegasus” landed at the International Airport Sarajevo. This airplane is a Boeing 737 and has the capacity of 189 seats. It landed in Sarajevo with 113 passengers from Turkey. Ivan Veličan, the director of the International Airport Sarajevo welcomed the airplane on the runway and expressed his satisfaction because of the introduction of flights by ”Fly Pegasus” between B&H and Turkey. “It is our great honor that the Administration of the Airport managed to bring a low budget company, especially in this period when a crisis is present in the airline industry. I believe that this will bring more tourists to our country and I also believe that ”Fly Pegasus” will achieve success regardless of the competition present because of Turkish Airlines.”- said Veličan. A round trip ticket of the airline company ”Fly Pegasus” is only 47 euros without airport taxes. 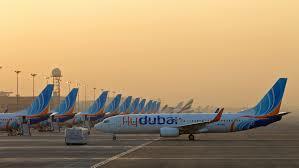 Regular flights will be operated five times per week.